Pleased with the likeness on this one. 15 mins. Charcoal with a spot of Wolfe Carbon pencil. This week a couple of models posed in a really complementary way, this was the second of the paired poses. 15 mins again but for the both of them so was pleased to have got so much down. Surprisingly perhaps I was pleased with the likeness on the model that’s lying down, less can be more. Drawing two overlapping people seems to be a bigger challenge than two separate drawings. 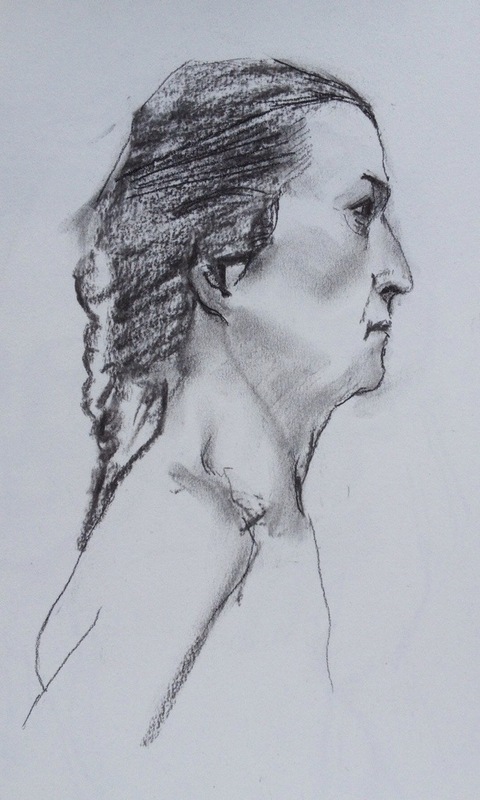 This entry was posted in recent work and tagged charcoal sketch, Life class, portrait by ianpriceart. Bookmark the permalink.